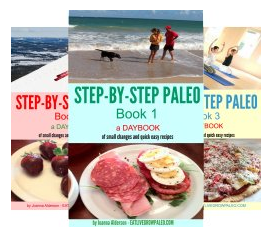 After a couple of posts on decadent indulgences, I think it's time to get back on track and concentrate once again on some of our Paleo basics - vegetables. In my weekly Paleo Menu Plans I tell you to add a vegetable of your choice to your dinners. vegetables. These should be available as a backup, but I'd like to give you some more easy-to-make choices as well. Green leafy vegetables (broccoli, asparagus, cabbage, brussels sprouts) and colourful vegetables (peppers, eggplant, zucchini and other squashes) are all things that you should be rotating through your menus. The healthiest way of eating is to eat variety. Unfortunately most of us are stuck on one or two options, so I'm here today to expand your repertoire. What I do is look and see what looks good when I do my shopping and buy 3 or 4 different vegetables for side dishes. And I try to include something I haven't tried before at least once a month, just to keep things from getting boring. Of course, the first thing I consider doing with them is stir-fry. As I wrote in the basics post on stir-frying, (see link below) this is the quickest, easiest, and healthiest way to cook a vegetables and protein dinner, but it also works just as well for a side dish. Just chop up what you want to cook into small pieces (This is to facilitate quick cooking) then add some oil (I love sesame for this) and seasoning (just salt and pepper will do ... and maybe a touch of hot sauce?) and you've got a side dish. Remember you can also add a few nuts for crunch. I keep bags of pea pods, baby carrots, and cut up broccoli and cauliflower in my vegetable drawer so I always have this option available. All the softer vegetables can be cooked this way, but the tougher ones like Brussels sprouts are best if you steam them first until they are just tender before frying. I usually steam a few pots of different vegetables on my basics day. Once you've chopped them up, these can easily be steaming while you're busy doing other things, and stored in your fridge in a covered container, will give you more quick side dish options during the week. 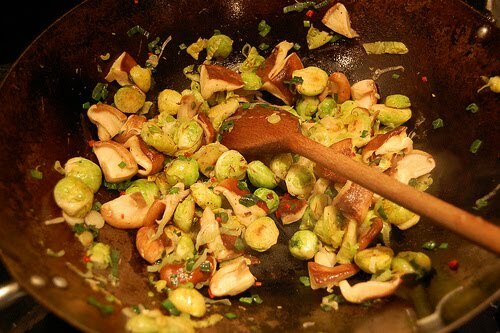 Getting back to stir-fry brussels sprouts, add in a few sliced mushrooms and you have an amazing dish ... and a great way to get all the health benefits of cabbage. 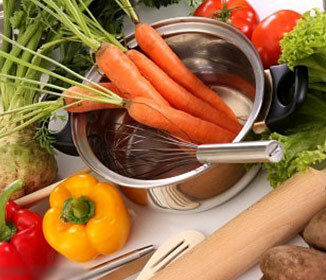 Having said all of that, I realize that even with the vast variety available to you with just stir-frying, you CAN get sick of using just this method, so here are a few other recipes I use on a regular basis. All of these are perfect with just a plain pan-fried or barbecued piece of fish, chicken or meat. 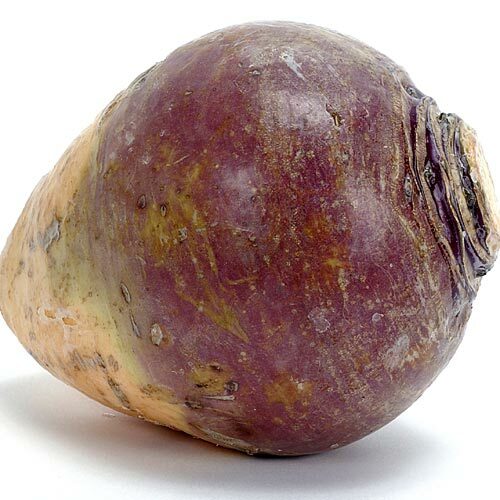 You have probably seen those purple and yellow rutabagas in the store and not had a clue what to do with them. 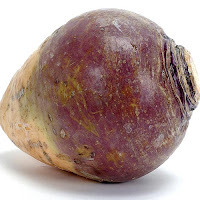 This is just one way to cook this delicious vegetable which is available year round. - Peel and cut carrots and rutabaga into small pieces. 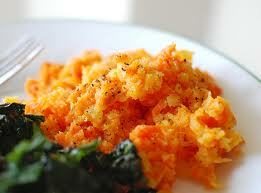 - In a food processor or with an immersion blender, puree the vegetables together adding butter and seasonings to taste. Add just a small amount of cream so it adds to the creamy taste but doesn't turn your vegetable into a sauce. - Heat olive oil until hot. 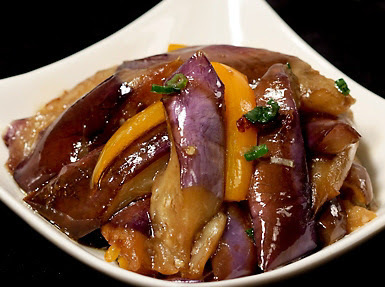 - Add eggplant strips, cook for 1 minute, constantly stirring. - Add water, cover pan and cook until eggplant is soft but still firm. - Add ginger, garlic, soy sauce, basil, and bell pepper. Cook for 5 minutes. 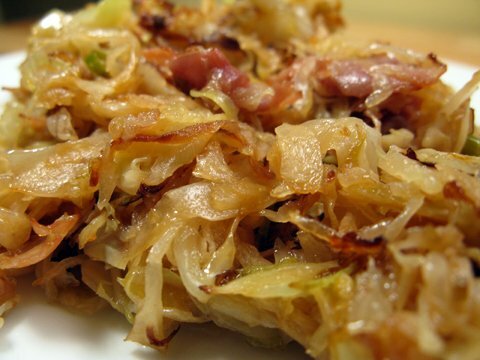 - Slice the cabbage into shreds. - Cut the bacon into small pieces - In a large skillet with a lid, cook the bacon until crisp. Remove. - Add the cabbage and cook on high for 1 or 2 minutes until it starts to brown, then cover and turn down the heat. Continue cooking for 5 minutes or until tender. - Mix in the reserved bacon bits and serve. - Peel the outer leaves from the sprouts and, if you want to use whole sprouts, cut a cross in the stem end (This helps them to cook quicker.) Otherwise just cut them in half. 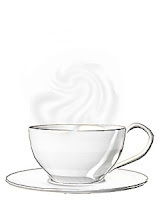 - Steam for 10 minutes or until soft but still firm. - Melt a couple of spoonfuls of butter in a large skillet. Add the pecan pieces and cook on high, stirring constantly, until they start to brown. Remove. - Melt some more butter if needed. You want enough to cover all your sprouts. Cook on medium heat until it just starts to brown. 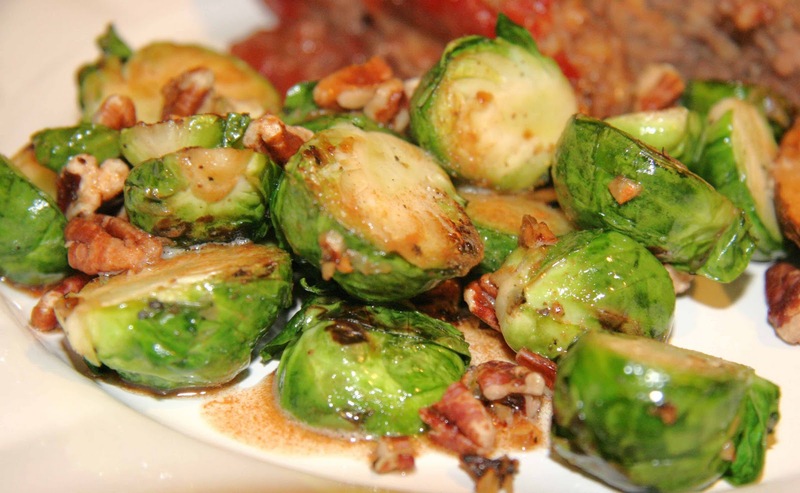 - Add the steamed Brussels sprouts and mix well with the butter. Serve topped with pecans pieces. This is a wonderful special occasion dish to serve with a roast beef or a roasted chicken. Pre-heat your oven to 375'F. 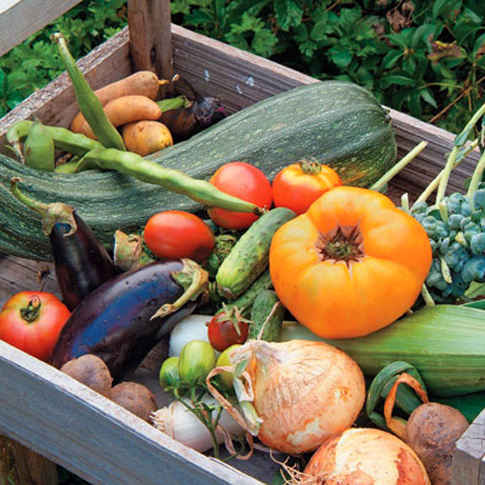 Cut all vegetables to a uniform size (more or less) so they will all be cooked at the same time. The less time you want them to cook, the smaller you need to cut them. Place some fat into a roasting pan (butter, olive oil, coconut oil or bacon grease works) Melt the fat first if necessary, then mix in the vegetable pieces until all are well coated. Season with salt and pepper to taste and add a few rosemary sprigs if you have them (well worth buying some fresh and freezing leftovers) Roast for 30 minutes, then check and see if tender. If not keep roasting and checking every 5 or 10 minutes. 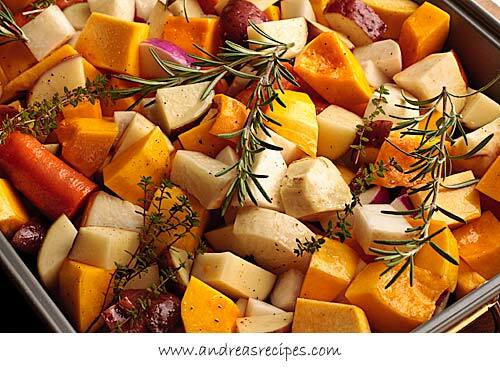 This is a great dish to serve with a roast as well since you can cook both dishes at the same time. 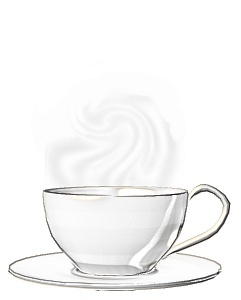 Another super long post, I know, but I think it's been worth doing. Since vegetables are such a major part of Paleo eating I want to make sure you have lots of options, and I will be giving you more in later posts as well. 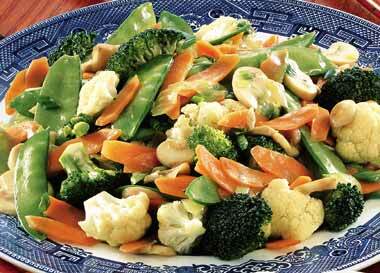 As you can see, vegetable side dishes do not have to be boring, complicated, or hard to make. 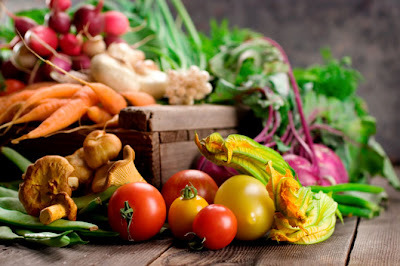 Buy whatever vegetables are in season, rotate throughout the year, and you will be assured of a good variety of vitamins and minerals in your diet.